It’s already spring, and I have one question for you. How are those New Year’s resolutions that you made in January going? Was living a healthier lifestyle among them? What about upping your beauty routine? With makeup from The Organic Skin Co., you can achieve two resolutions at once because this innovative line of beauty products is organic, vegan and will keep you looking gorgeous at the same time. Cruelty-free and nontoxic, The Organic Skin Co. uses natural ingredients to create colors that pop and shades that last. And here’s something really cool: every time you buy one of their products, they plant a tree. 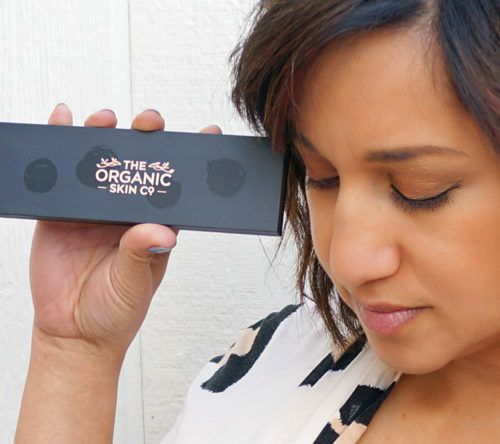 The Organic Skin Co. gave me one of their empty eye palettes and four of their pressed eye shadow pods to sample. You can see them in the above photos. Assembly is easy. Just remove the pod from its package and slip it into its empty slot. It’ll remain in place magnetically. 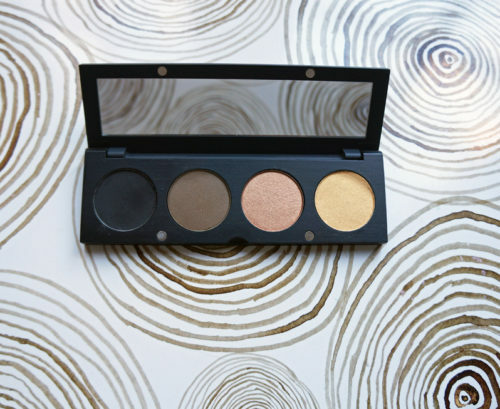 I really enjoy the smooth application of the The Organic Skin Co.’s pressed eye shadows. They glide on easily and the hues are rich. Infused with pomegranate and calendula “supercritical extracts,” the pressed eye shadows are highly pigmented and the colors I selected nicely complement my skin tone (see below). Other beauty products from The Organic Skin Co. include primer, foundation, luminizer, liquid eyeliner, mascara, blush, gloss, lipstick, and skincare, too, such as the Holy Basil Cleanser and Honeysuckle and Turmeric Face Oil. Look, it’s never too late to get back to focusing on your New Year’s resolutions. Get healthy. Try something new, and look beautiful. 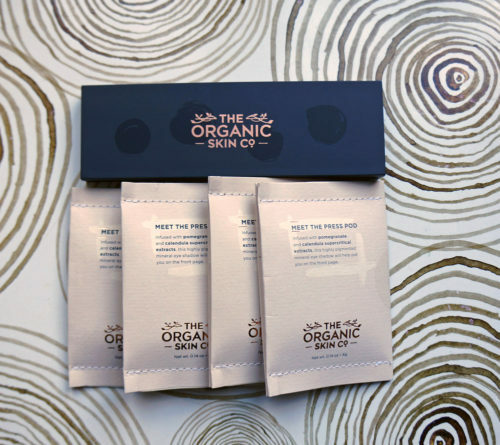 Check out The Organic Skin Co. today. Shop online at TheOrganicSkinCo.com.